Here are 8 ways to include texture in your kitchen design. 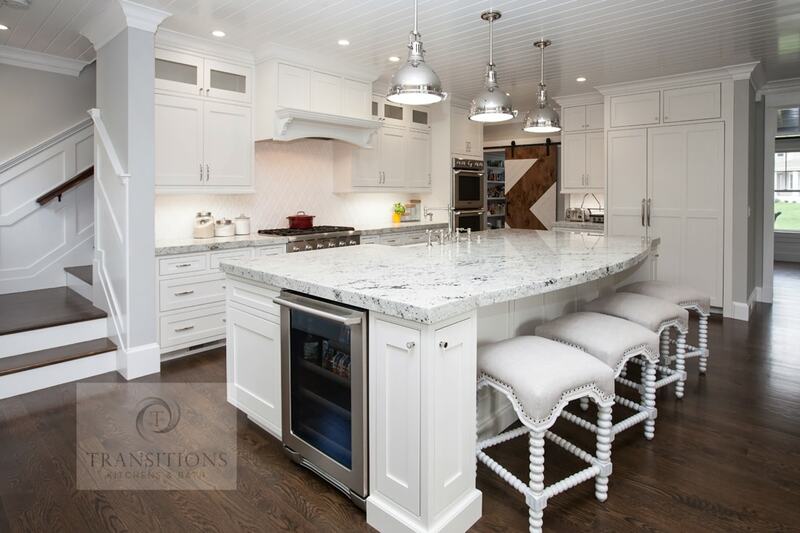 Textures play an important role in kitchens, whether you prefer a more contemporary look with flat front kitchen cabinets and sleek accessories, or a warm, layered look mixing traditional and contemporary elements in a transitional style kitchen design. Placing different textures next to each other creates a more interesting design with unique surfaces to delight the senses. For example, keep the grain and texture on distressed wooden cabinets and place them with sleek upper cabinets or island cabinetry in a contrasting finish. Use cabinet hardware in a brushed texture or an unusual material like leather or glass to add contrast to your cabinet surfaces. Take a chance with your texture choices and select unusual contrasting textures to create a really eye-catching design. 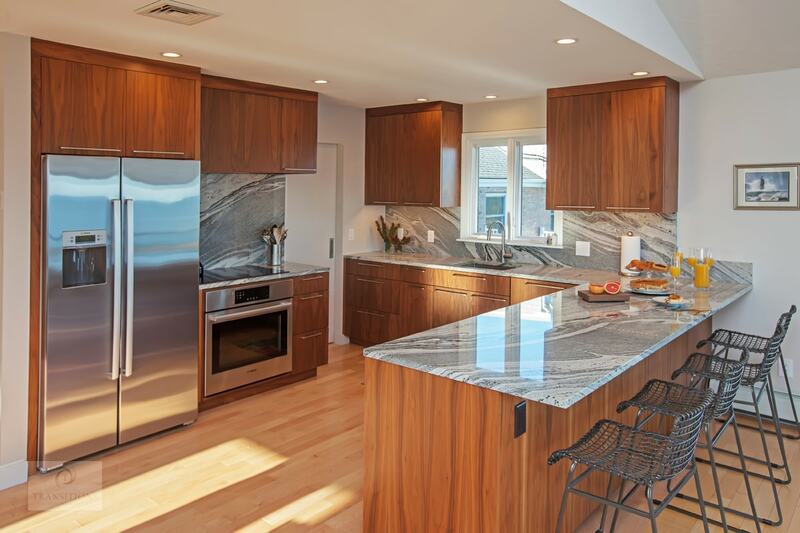 If your kitchen remodel includes an island, add a one-of-a-kind flair by using contrasting countertop materials, such as concrete or wood for the island and engineered quartz or soapstone for the perimeter. Or, include a sink in a unique material that offers a contrasting texture to the smooth countertop, like a copper farmhouse or stone sink. Include soft textures like window treatments or cushioned barstools to contrast all the hard surfaces typically found in a kitchen. 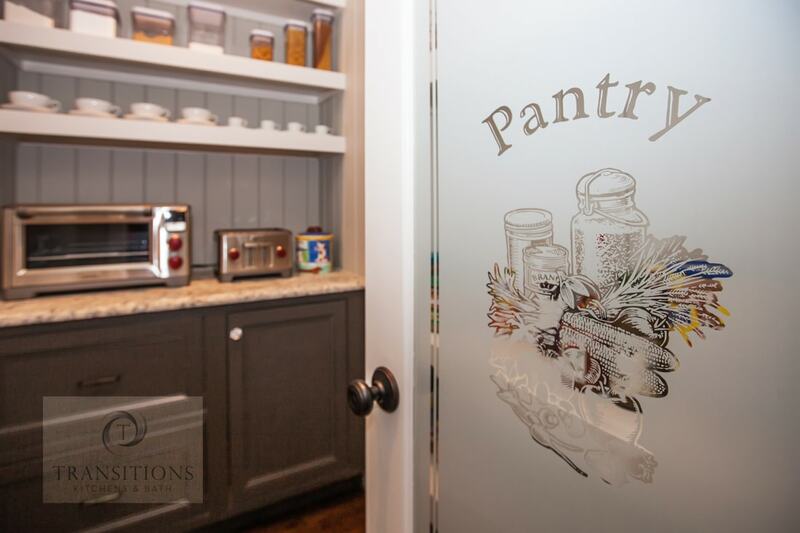 Glass panels break up wooden cabinet doors and allow you to see the inside of the cabinetry where you can display items such as glassware or decorative dishes. 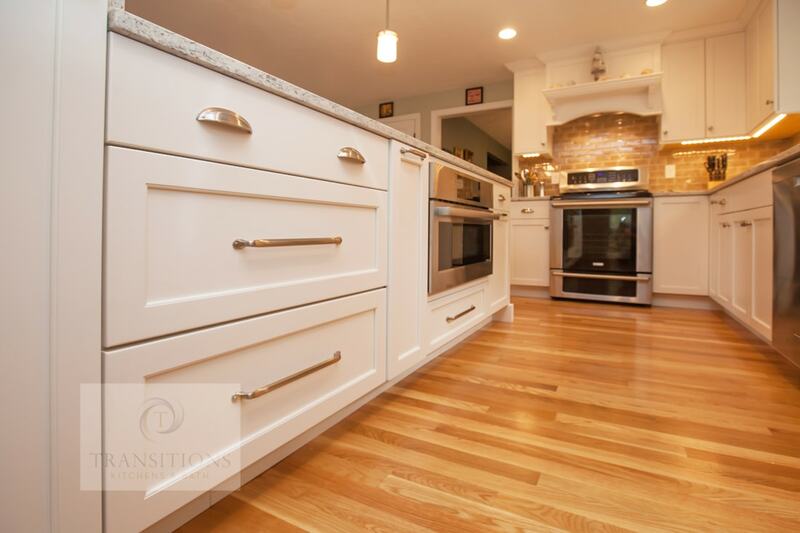 The kitchen remodel in Norwell, MA pictured below includes glass front upper cabinets with in cabinet lighting. Similarly, open shelving allows you to bring other textures to your design by displaying favorite personal items in materials such as glass, metal, or ceramic. 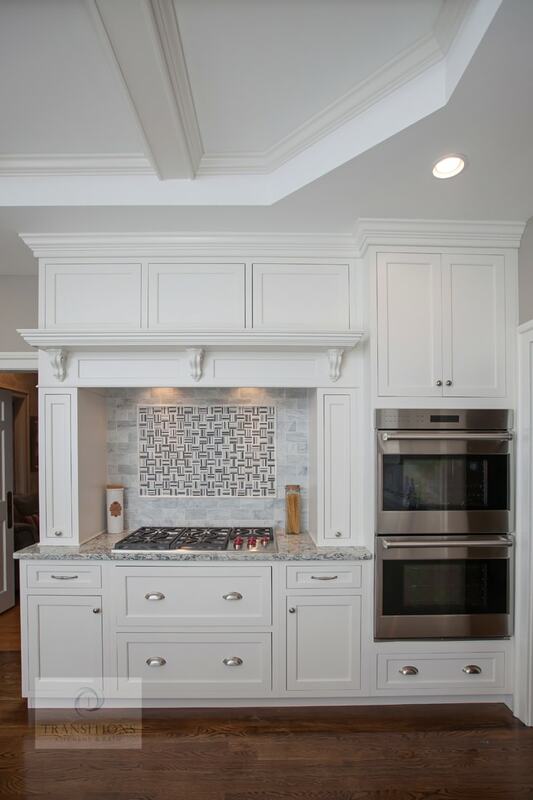 Beadboard panels provide depth around islands or peninsulas and molding on top of cabinets add more textural layers to a kitchen design. 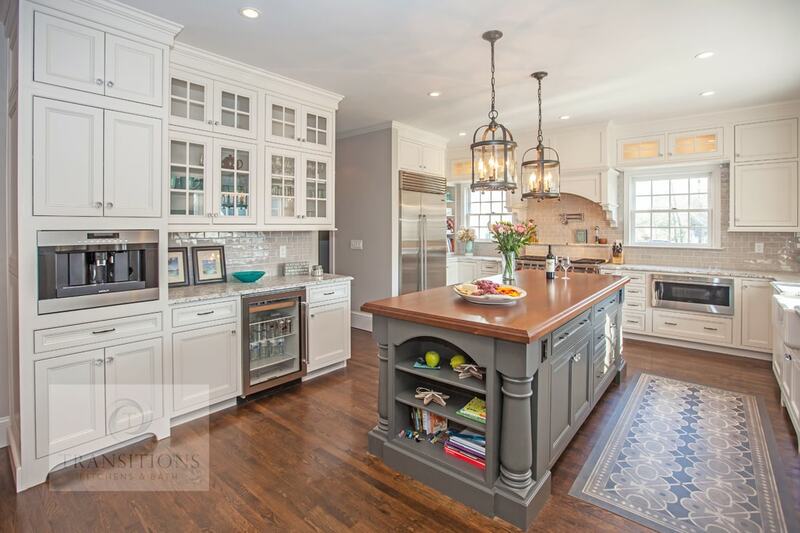 In a more traditional, farmhouse, or rustic kitchen, textured cabinetry will be a focal point with natural wood textures, distressed finishes, and more ornate cabinet hardware. You can add other design details, such as furniture style cabinetry with turned wood feet, wooden or metal barstools, stone feature walls, or reclaimed barn wood features. 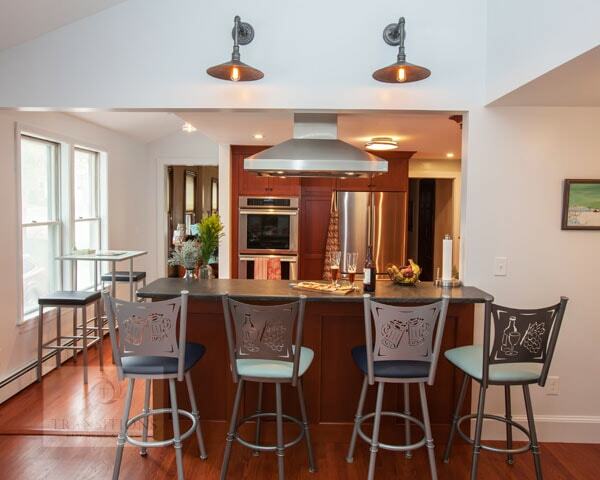 Metal offers plenty of opportunities to add unique textures to a kitchen design. 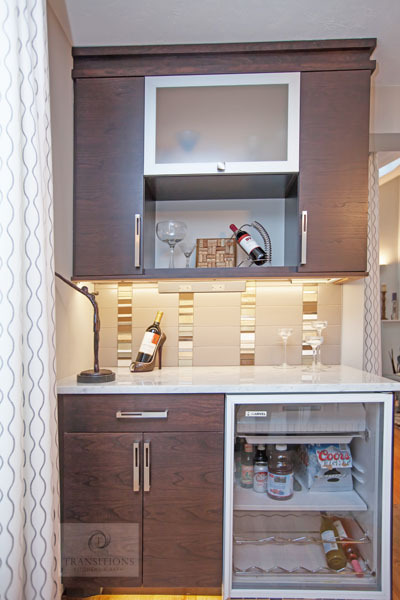 A stainless-steel backsplash can have either a smooth or hammered surface, stainless or copper range hoods bring color and texture contrast to cabinetry, and metal details such as cabinet hardware and faucets all make your design stand out. You could even go for a stainless-steel countertop for a pro-kitchen touch that is perfect for the avid home chef. 6. Make your surfaces work. Nothing beats marble countertops if you love to bake, but concrete, engineered quartz with glass flecks, or stainless-steel surfaces are all options that bring unique colors and textures to a kitchen design. A butcher block or polished wood section of countertop will add warmth to any kitchen design and is ideal for a food preparation or dining zone. Use locally sourced or natural materials such as exposed brick, reclaimed barn wood, locally sourced stone, a regional tile or local river rocks to make your kitchen design a unique and tactile experience. Even a small section of wood, like the dark wood pattern on a sliding door in this otherwise all-white kitchen design in Norwell, MA will make your kitchen stand out. There are so many different materials available for kitchen floors, offering practical and stylish options that use color and texture to pull together your design. From tile to hardwood, cork to concrete, or even luxury vinyl tile or laminate, each floor material has unique features that bring a one-of-a-kind look and feel to your design. 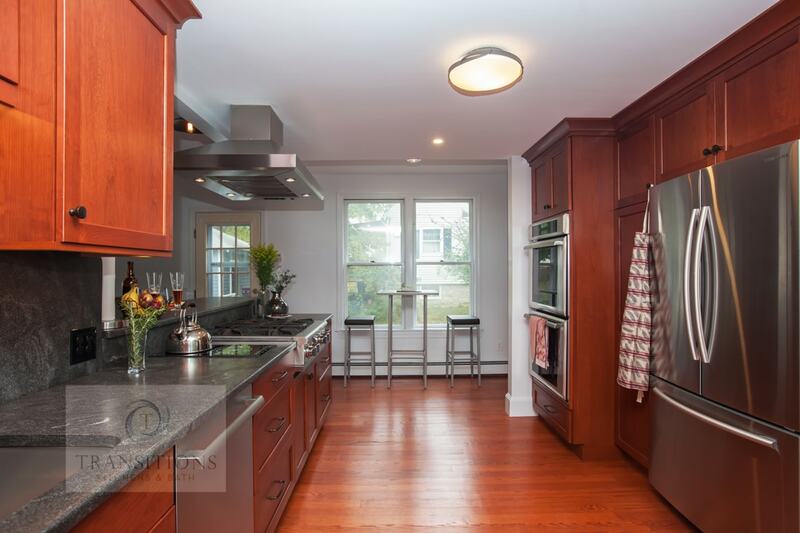 This kitchen design in Cohasset, MA, uses hardwood floors to contrast with the sleek white cabinets and stainless-steel appliances. Hardwood floors or natural stone combined with underfloor heating will also be warm under foot and add a tactile element for bare feet in the kitchen. A combination of wood, glass, stone and metal will give your kitchen design a real lift. 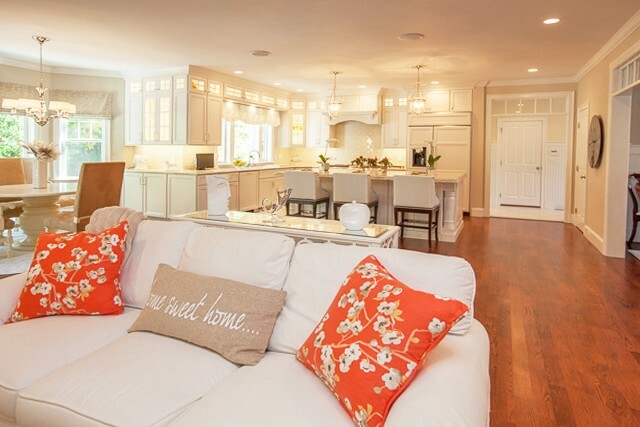 You don’t need a lot of color, just mix surfaces and textures to add warmth and style to your home remodel. 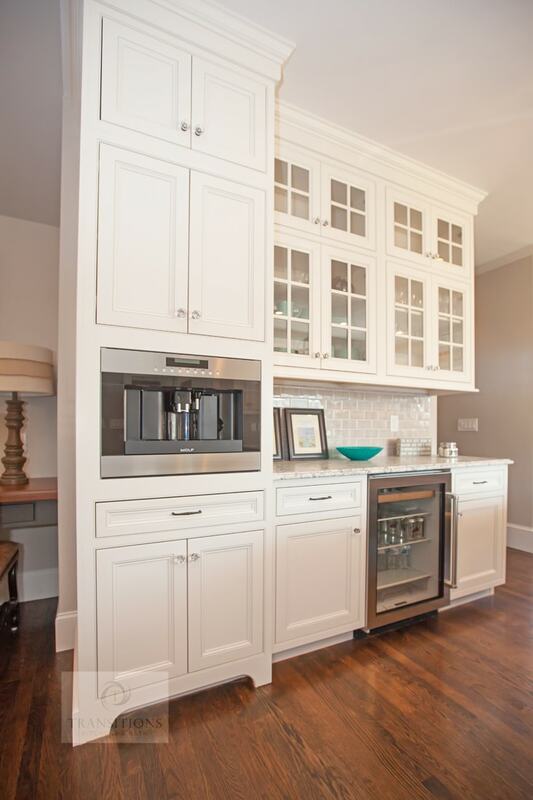 Does your kitchen feel flat and one dimensional? See more examples of how to stimulate the senses here in our gallery or call us today to discuss your texture options with our kitchen design experts.